Henry Holt & Company, 9780805096620, 228pp. When Veronica Reed wakes up one frigid January morning, two things are "off"-first of all, she has had a good night's sleep, which hasn't happened in months, and second, both her husband and her baby are gone. Grateful for the much-needed rest, Veronica doesn't, at first, seriously question her husband's trip out to breakfast with baby Clara. Little does she know, her spouse has fled lower Manhattan, with Clara, for some R&R in the Caribbean. 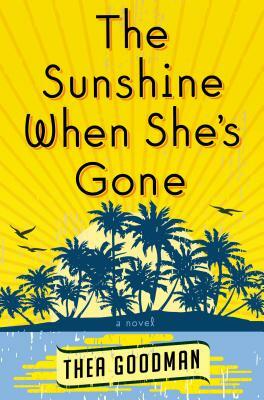 Told through alternating points of view, "The Sunshine When She's Gone" explores the life-changing impact of parenthood on a couple as individuals and as partners. Thea Goodman brings us into intimacies made tense by sleep-deprivation and to losses and gains made more real by acknowledging them. Here is the story of a couple pushed to the edge and a desperate father's attempt give them both space to breathe. Thea Goodman has received the Columbia Fiction Award, a Pushcart Prize Special Mention and fellowships at Yaddo and Ragdale; her short stories have appeared in several journals, notably "New England Review," "Other Voices" and "Columbia." Born in New York City, she studied at Sarah Lawrence and earned her MFA from Brooklyn College, CUNY. She has taught writing at The School of The Art Institute of Chicago, and lives in Chicago with her husband and children.